Brisbane Holiday Houses is made up of 5 fully furnished self - contained holiday homes all located just off the esplanade in Wynnum Manly , 25min drive from Brisbane CBD - on the Brisbane Bayside. Perfect for short term stays, families relocating to Brisbane and staff working in the area. Privacy is premium with only your group staying and a short walk to the stunning waterfront and close to public transport. The houses are well located to the shops, public transport, motorways north to the Sunshine Coast and south to the Gold Coast. Catch a train or bus to the city, or use as a base while you explore the Gold Coast and Sunshine Coast. Or better still, sit back and enjoy the BBQ sizzle after a day of exploring Brisbane and the local area. Some of the houses are pet friendly with strict pet rules in place to ensure everyone enjoys staying at the houses. Wynnum By the Bay offers pet friendly accommodation in Brisbane. This three bedroom home is purposely equipped for family accommodation in Brisbane - Wynnum. Only 400m to the waterfront this short term holiday house has a fully fenced yard and an extra high carport. This self- contained house has a lovely large north facing mostly covered deck , with plenty of sun all year round. Having a lovely flow from the well equipped kitchen, to the dining room and onto the deck, this is a popular family home. Catching the fresh bay breezes allows for a lovely cool house. Air conditioned for your comfort with fans for those in between days. Having three bedrooms and well located, this house is popular. Easy walk to the train, waterfront and bus stop. Supermarkets are a 20min walk and the local hotel only 15min. Being fully fenced with a generous flat backyard - this is great for the family and your best friend. Pets are to be left outdoors and conditions apply. 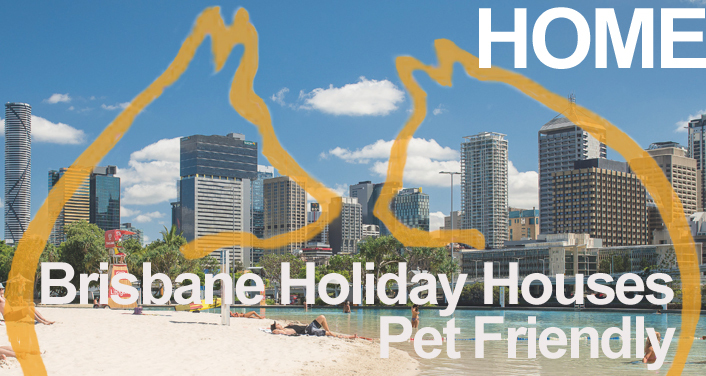 Looking for short term family holiday accommodation in Brisbane ? You are in the right place. Cedar Lookout offers you family holiday accommodation when visiting Brisbane and Wynnum, Manly area. Catering for larger groups, renting a house makes it cheap accommodation in the Wynnum Manly area. Perhaps you have cruised over and need a crew house or crew accommodation in Brisbane, or are working at the Port of Brisbane or Hemmant / Murarrie area then this house is conveniently located. Close to the shops, train, bus and only 100m to the waterfront with views out to the Brisbane Bayside and Islands. Being a high set three bedroom home with and a sunny aspect only 300m to the Wynnum Wading Pool and Adventure playground, this is a fantastic alternative to a holiday apartment in Brisbane. Manly Peninsular offers the family 3 bedrooms and a sunroom. Having a private ensuite in the main bedroom is a small luxury on holiday or working away from home. The sunroom can be made up into a bedroom on request. This house has a large undercover deck and is an entertainer. With indoor outdoor living in mind when recently renovated, this house is ideal for those wanting to enjoy the location and privacy. The esplanade is a mere 100m away, plus a playground, there won’t be time to watch the Foxtel . Rivergate Marina is a certified Clean Marina, catering for vessels from 8 to 80m. Voted in the Top 3 Australian Marinas by Boat International USA, Rivergate is an ideal cruising destination for all vessels visiting the South Pacific and Eastern Seaboard of Australia. TYB offers a wide range of marine services related to vessel refit and repair, manufacturing, fabrication, assembly, maintenance, load out, project-work assistance and can provide unparalleled logistical solutions utilizing our network of on-site and partner relationships. Our 600t Straddle Carrier, with its 13m beam hauls vessels up to 80m in length, being the largest straddle carrier capacity in the Southern Hemisphere. This combined with more than 10 specially Engineered Project Sheds, The Yard Brisbane stands alone in the Southern Hemisphere when it comes to capabilities and facilities. Our project sheds offer near perfect working conditions 24/7, with up to 25m high ceiling accessing 4 x 10t overhead cranes, multiple high amp power outlets, high tech fire monitoring systems, ventilation, lighting, controlled access, private storage areas and offices. TYB Is rapidly implementing systems and procedures towards ISO 9001, 14001 and 18001 accreditations. Sleeman Sports Centre houses Brisbane Aquatic Centre also known as Chandler Pool. Located on the foreshore next to the Marina, Manly Pool is a great place to cool off. There's a wading pool with play features for the kids, a 25 metre outdoor pool with an access ramp and waterslide, and a pool kiosk. The pool offers learn to swim classes and squad swimming. Find out the opening hours, entry fees and more about the pool facilities. The slide is closed during winter and the venue is fully closed over the month of July. Moreton island " The wrecks"
Moreton Island is a wonderful day trip to a slice of wilderness. The boat trip will take you to another world where time stops. Wynnum By the Bay holiday house ideal for family accommodation. Sailors Rest is 3 bedroom house upstairs short term rental accommodation with a Captains Cabin downstairs. Manly Peninsular is a 3 bedroom with sunroom house for self contained holiday accommodation in Wynnum Manly and Brisbane area.